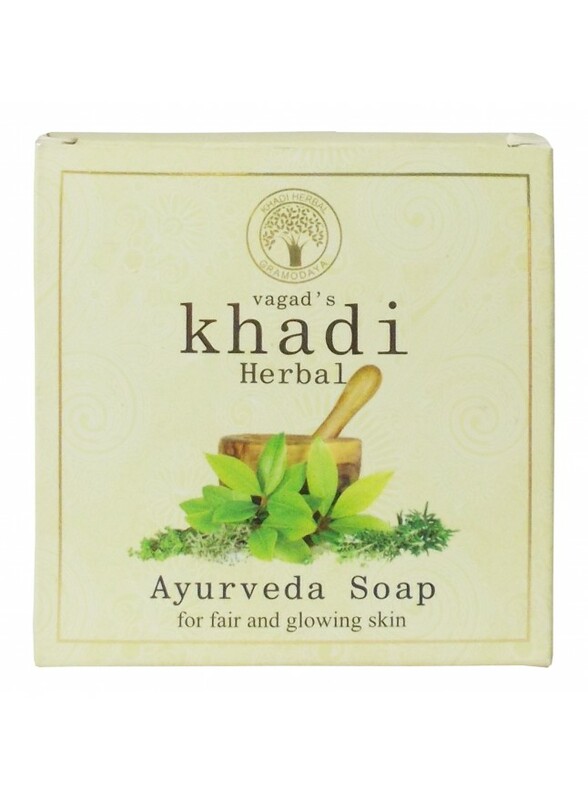 Vagad's Khadi Ayurvedic soap freshens up you every morning and maintains healthy skin. 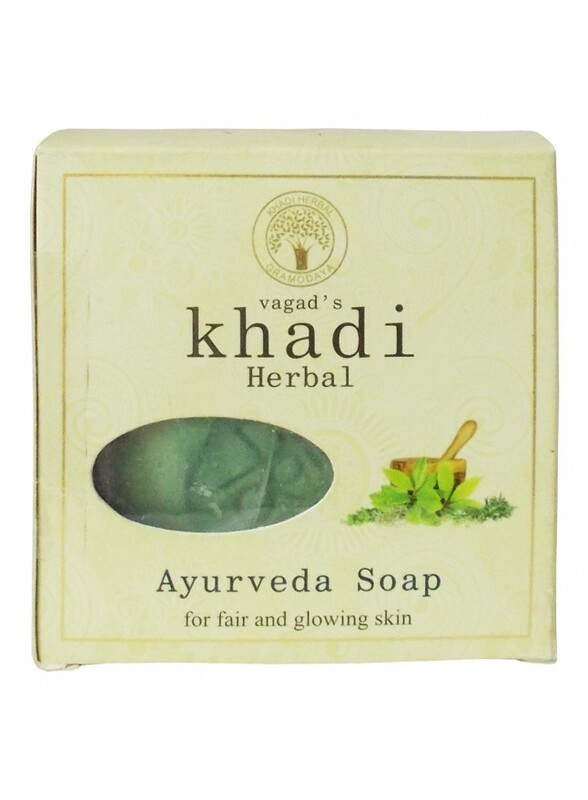 It's unique and time - tested formulation combines the goodness of 18 herbs that help protect the skin from many kinds of skin problem like skin blemishes, Pimples, Dry skin, and Acne. Ingredients: Palm Oil, Cucumber ext. , Coconut Oil, Palm Kernel Oil, Almond Oil, Brahmi ext. , Manjista ext. 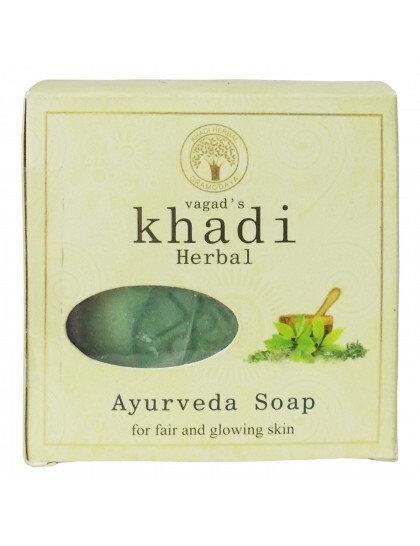 , Honey, Aqua, Glycerine, Herbal ext.